Guaranteed fit that's easy on your hands! 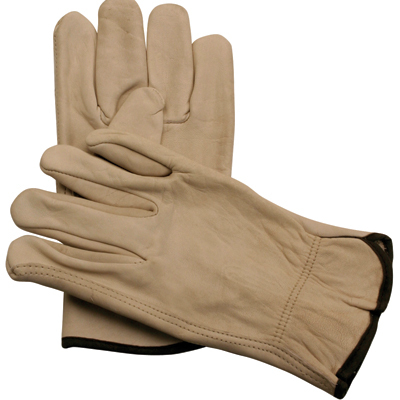 Our leather gloves have passed the toughest test of all...the "customer" performance test. Top grain cowhide. Fabric hemmed wrist. Shirred elastic back. A good leather work glove. Available in medium and large only. Sold by the dozen.